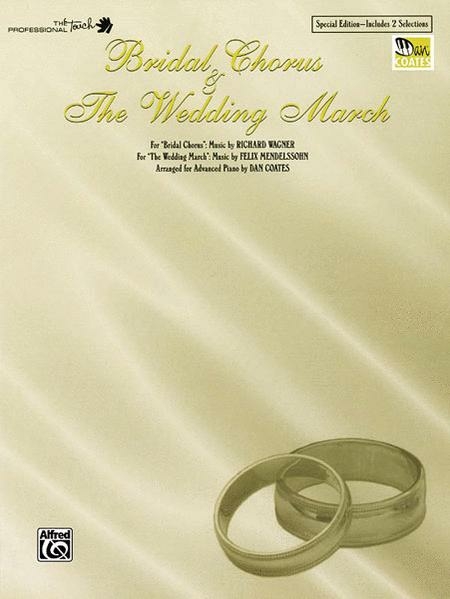 By Bridal Chorus by Richard Wagner and "The Wedding March" by Felix Mendelssohn. Arranged by Dan Coates. Masterworks; Piano Solo; Solo; Solo Small Ensembles. Form: March. Masterwork Arrangement; Romantic; Wedding. Sheet. 12 pages. Alfred Music #00-APM03001. Published by Alfred Music (AP.APM03001). English. Bridal Chorus by Richard Wagner; "The Wedding March" by Felix Mendelssohn. 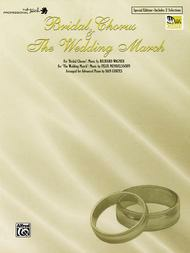 A perfect resource for the wedding pianist, complete arrangements of both of the traditional wedding pieces, the processional and the recessional, are contained in this special Dan Coates edition.